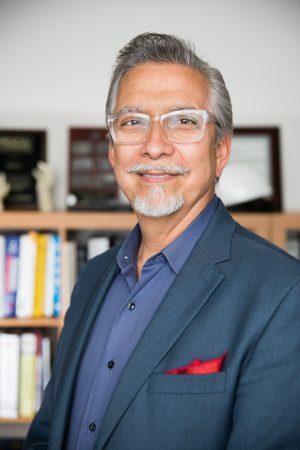 Jerry graduated from the University of Texas at Austin with a Bachelor of Science degree in Architectural Engineering and established his own firm in 1990. As founder and Principal, Structures has grown to become a respected midsize engineering firm with a diverse portfolio. With over forty years of experience Jerry’s own project experience has included vast numbers of site planning, new construction and revitalization projects for an array of clients. His approach to each project consists of an intuitive knowledge of structural systems and material approaches which are cost effective and site appropriate. Playing music with my friends and oil painting when I can. Are you involved in any community involvement/charity? If so which ones? I am currently a board member for the Austin Foundation for Architecture (AFA) as well as a liaison board member for the American Institute of Architects (AIA). I came here to study engineering and play music. It was and remains my Mecca. In longevity. Longevity always invalidates ones misgivings. Leaving my position at Jaster-Quintanilla and buying a hair salon.